Today, more than ever, the world is an international marketplace with shopping online for anything and everything now commonplace. Consequently, sales in the bike industry via the internet have exploded over the past ten years. If you don’t have the time to build a bike from scratch, or aren’t comfortable installing a group set or individual components you’ve bought on-line, Elbows Akimbo will happily do it for you . 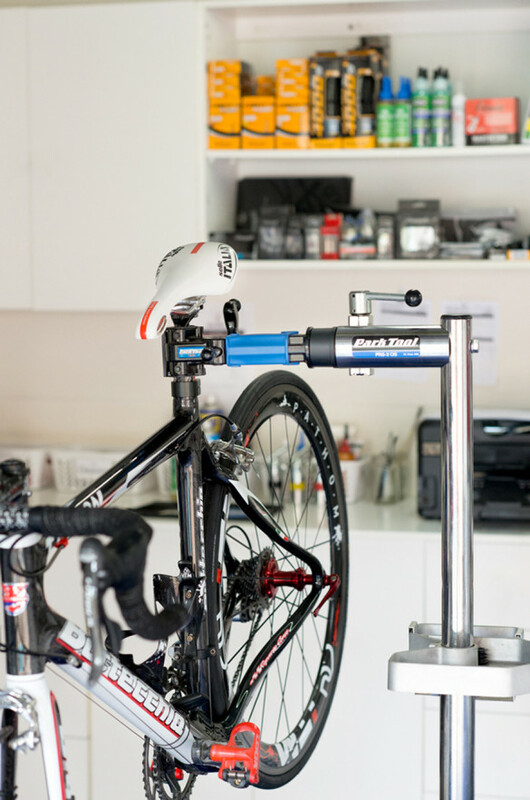 And, just as with our bike servicing we use only the best quality, specialty products and tools during the installation process to ensure that your bike runs smoothly and quietly. We’ll install just about anything. If you don’t find a price listed for the service you require, please contact us to arrange a quote. Please contact us on 0427 820 256 or service@elbowsakimbo.com.au to make an enquiry and/or booking.